This is a brilliant way to get creative in your living area if you are tight for space. 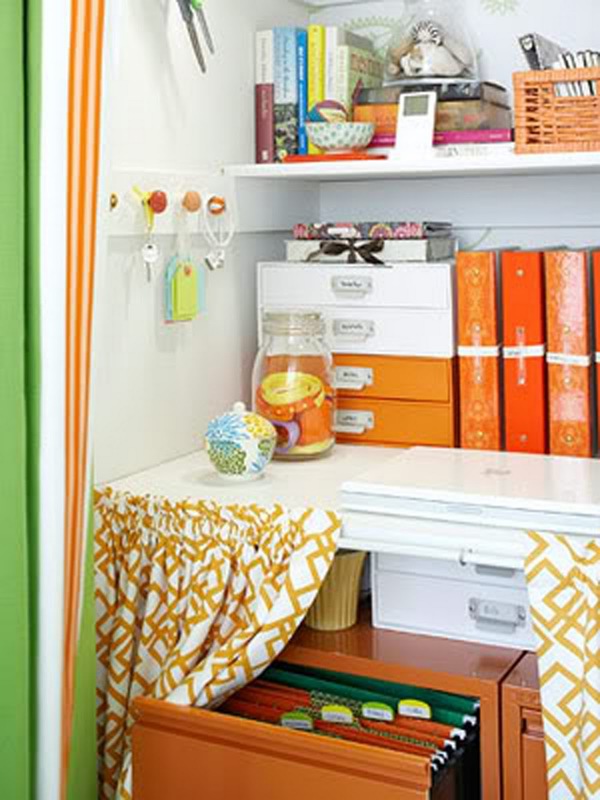 Close off your work area with beautiful curtains, or if its perfectly placed and organized like the photos above, leave them open! ;) These colors are so fun and fresh as well! Have some fantastic things lined up here on the blog this week for you including the first giveaway of 2011 (you are going to swoon), and the start of the Tips for Small Business series! Hope each of you had a lovely weekend! We are blessed to have a new niece and nephew within days of eachother! And wow are they scrumptious! Getting me so excited for my own little one! ooo I like that! how fun & colorful! I love this look! I have something similar for my laundry room. i LOVE this idea. SO cool! 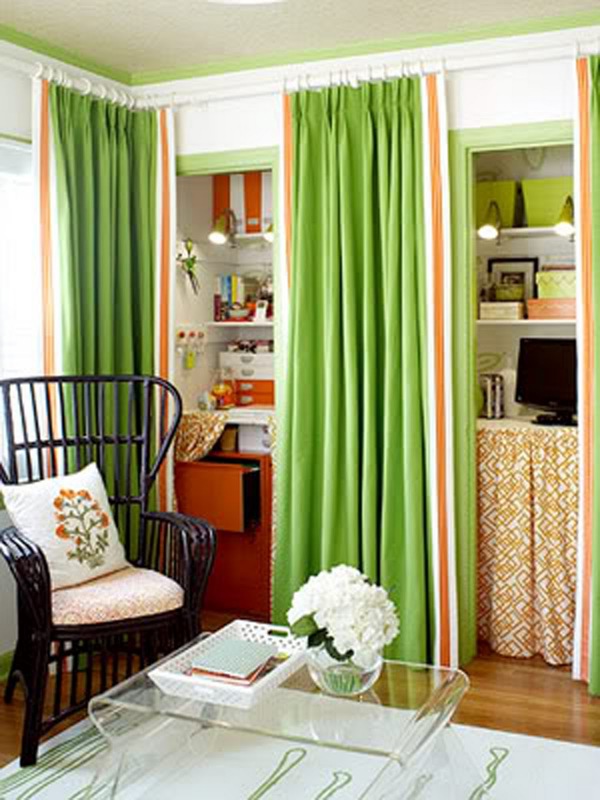 I really do like the look of curtains -- there's so much fun you can have with them! I've got curtains on my master bedroom closet! It gives us so much more space, makes such a difference!! Happy Monday! I am in love with the green curtains!